Great news! 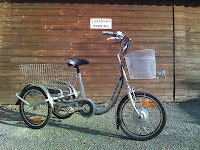 We had a delivery of new battery bikes yesterday which means we now have the new 36V Quartz bike in stock. The Quartz bike is a step through folder with the same technology as the popular Batribike Diamond and Granite electric pedal bikes. With a range of 40 to 60 miles on pedal assist and with regenerative braking to improve distance in hilly terrain the Quartz bike looks set to be a winner! 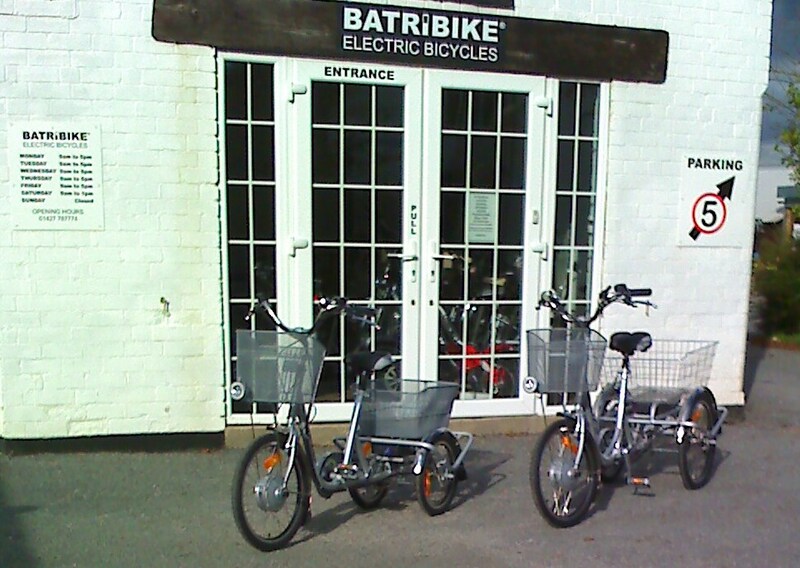 The Batribike Trike is also now in stock, this fantastic electric tricycle with new styling to complement the Batribike range comes in two different sizes. The Trike 20 comes with 20" wheels all round and the Trike 16 has a 20" front wheel and 16" wheels at the rear. Both have a compact shape allowing them to be stored more easily than the more traditional trike. Look out for full spec. sheets and more detailed descriptions on the website soon. 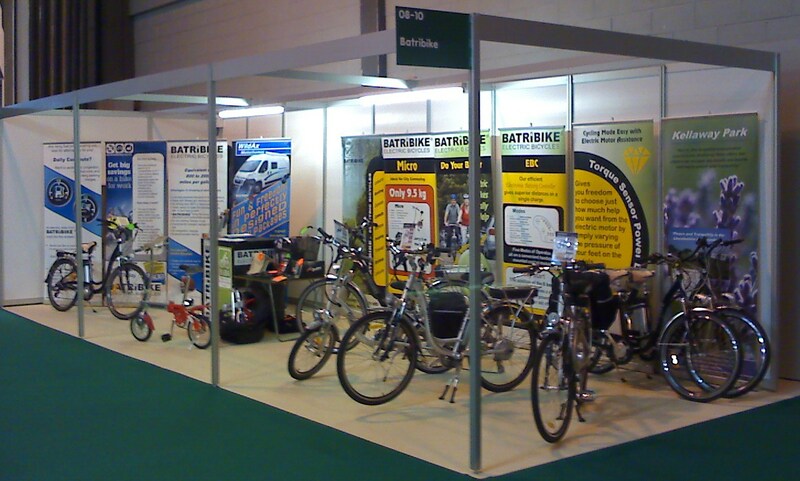 Batribike has had a great time at all the shows this year, thanks to all the nice people who have been to see us on the stand and talked about battery bikes. The NEC show was once again the last of the season and it was lovely to see some of our customers there and hear about where they have been with their bikes and how well they have coped with the hills. 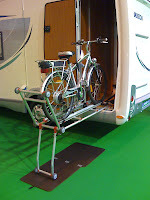 Once again there was a huge amount of interest in our Micro Bike which is ideal for motorhomers and caravanners where space is limited and payload is reduced. The show season is over for us now until we go to Shepton Mallet in January but customers are very welcome at our showroom where we have a fleet of demo battery bikes available to try. 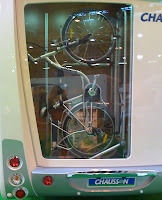 The Batribike display is creating lots of interest here at the NEC, we are delighted to be helping Chausson demonstrate their new bike rack system by lending them some of our Diamond and Granite battery bikes which have the excellent regenerative braking. 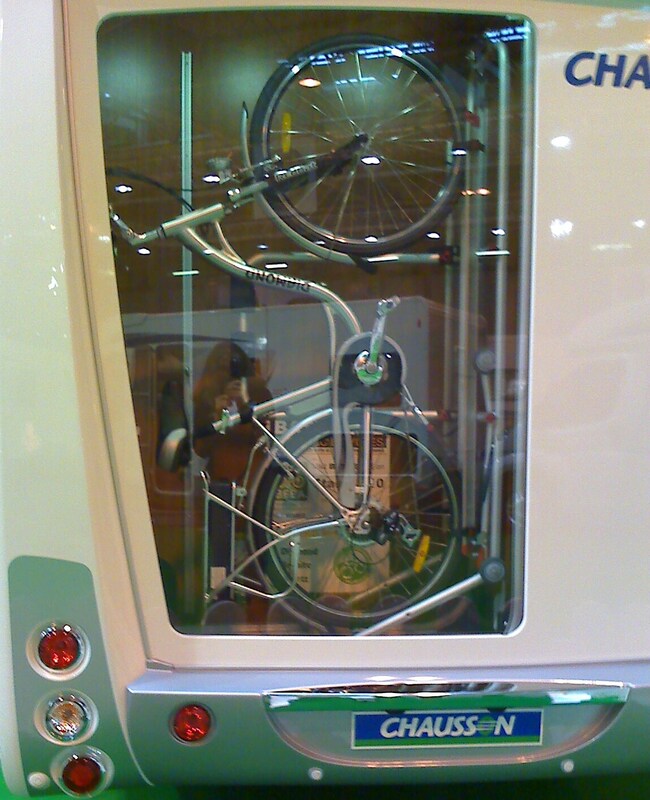 The bike sits on the rack and then at the push of a button the rack slides in and tilts - it's so easy. 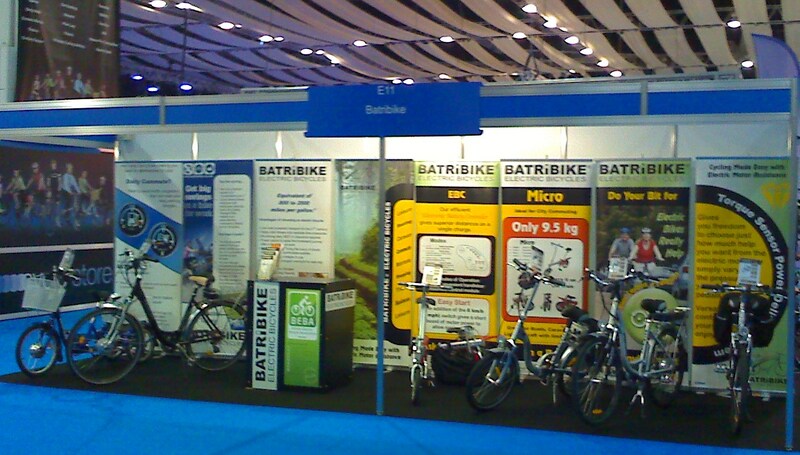 The Batribike stand looks great just before the show opened on Tuesday, we have a tast ride area too which has given lots of our customers the chance to try the bikes. Battery bikes had a great time at Earls Court, it's really nice to talk to people who are enthusiastic about cycling. I got to meet several people that I had only spoken to on the phone so it was good to put a face to the name. I have been known to be slightly prone to falling down at the drop of a hat, and yesterday was no exception. The MET Police had a huge lorry at the exhibition that they were using to demonstrate how difficult it was for drivers to see cyclists when they are very close. This was a fantastic opportunity to promote safer cycling and lots of cyclists were able to sit in the cab and look down from a lorry drivers point of view. Around the lorry there was an imitation road made of black plastic taped to the floor, as I was walking towards it I noticed that there was extra tape and was concentrating on the potential trip hazard, the next minute I was sliding along the carpet on my palms and knees! I'm not sure how that happened as I had succesfully avoided the dangerous bit and seem to have tripped over my own feet. The upshot of this is I am now headed to a six day show at the NEC with two purple knees and bruised hands! 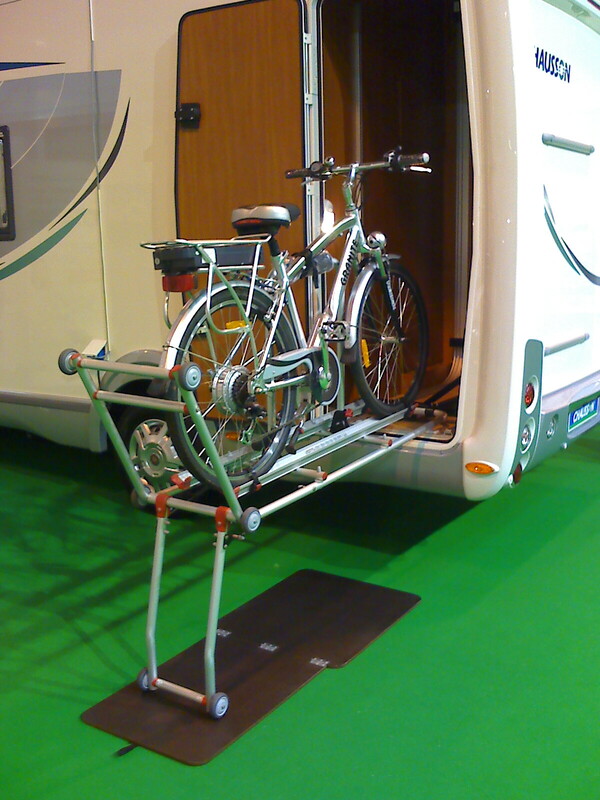 We will have a fantastic presence at the NEC based Caravan and Motorhome Show, we have a small riding arena adjacent to our spacious stand (8-10) and our battery bikes will also be on display on the Chausson stand in hall 8 where they will be demonstrating the new bike rack fitment in the Chausson motorhomes. Come and talk to us on the stand and view the new, updated folding Quartz which is being launched at the show, with regenerative braking and 36V torque sensor power delivery it is the latest tech for Motorhome and Caravan owners. 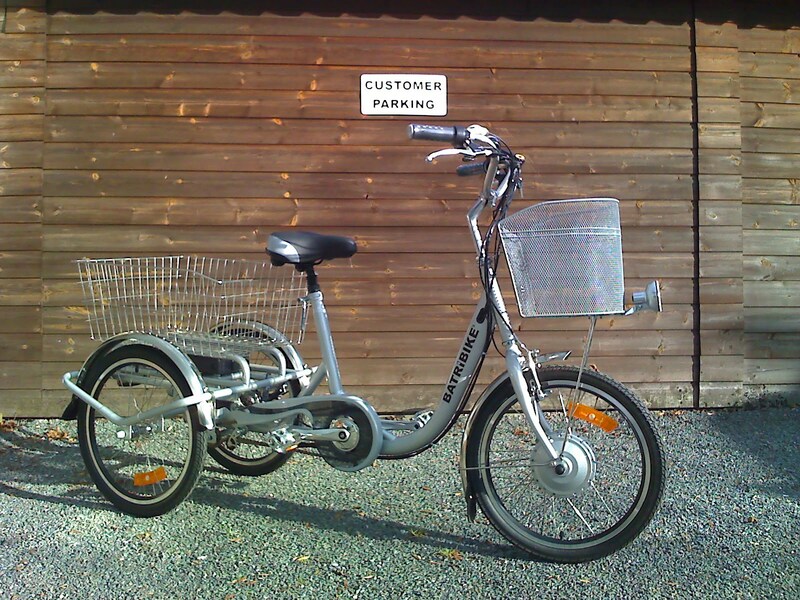 We will also be happy to discuss deals on our Mercury SE (show edition) bike for customers buying one or more of the Mercury e bike. Battery bikes and e bikes have been vey prominent at the show with lots to choose from in the riding arena and on the trade stands. The Diamond has proved to be a very popular choice - comments include "it's got loads of power" and "very smooth"
I got to give one of the London Hire bikes a spin on the track! We are ha ving a great time here at Earls Court. I haven't had much chance to take pictures but managed to grab one of the stand before the show opened this morning. It's been really busy with the Diamond and New Quartz in the commuter riding area we have been talking to lots of interested riders. I got a chance to try out a few bikes yesterday including the opportunity to ride one of the London hire bikes. There was also a penny farthing style bike which I declined to ride having seen several people come to grief either when mounting or dismounting and decided that the safest option was not to ride so I still have all my limbs in tact for the rest of the show! There is lots of choice for customers looking for a battery bike with a huge range styles and prices from a variety of manufacturers, our bikes are definitely proving very popular with their reasonable price tag and miriad of features. I have some nice pictures of customers on our bikes but the connection is so slow tonight they won't load so I will try again tomorrow! Sunshine, high winds, torrential rain and a light breeze! 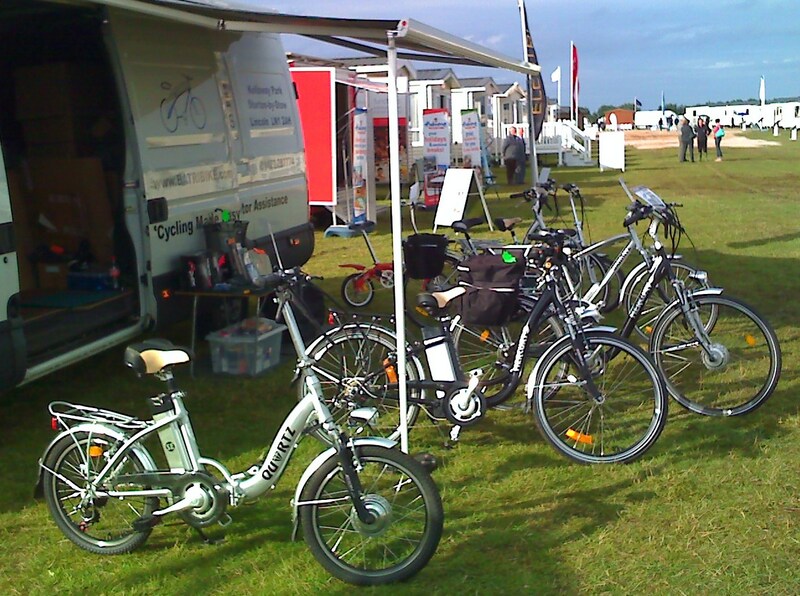 The weather at Exeter Racecourse this weekend swung from one extreme to the other but the Batribike e bikes recieved a warm welcome from the West Country. Batribikes in the sunshine after the show closed on Saturday. 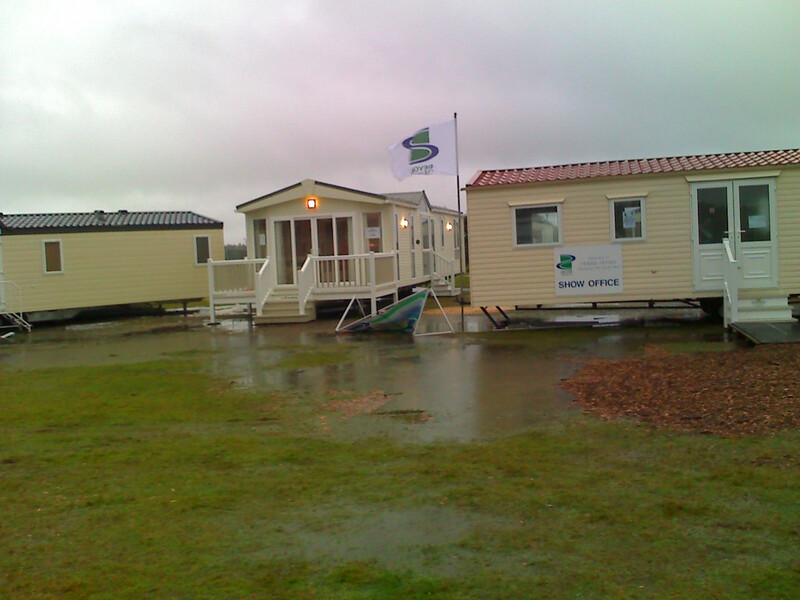 We drove down in appallingly wet conditions on Friday and set up in fair weather on Saturday, the ground was quite waterlogged but dried quickly in the sunny, breezy conditions. 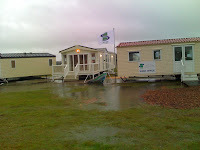 Customers came specifically to see us having looked at the list of show dates on the website. They were able to test ride the e bikes on a tarmac lane running parallel to the race track. 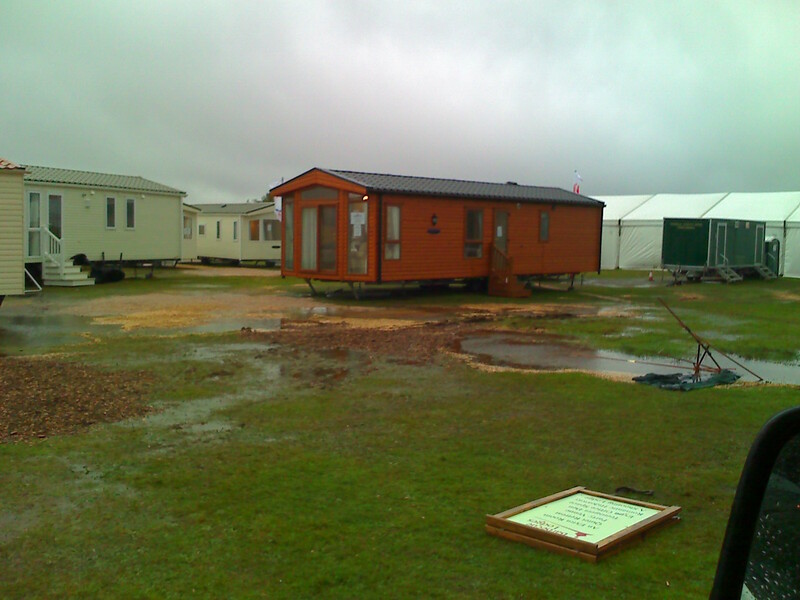 Heavy rain and high winds overnight transformed the site so that when we arrived on Sunday morning it looked somewhat like a tornado had passed through! John, Paul and the Appletree team did a stirling job to improve the conditions underfoot creating walkways with bark and chippings, many thanks to them. Then with the rain dying out Sunday proved to be another great day. Today we are going back to base in glorious sunshine - the capriciousness of the English weather can never be under estimated!